We have just begun our fourth trip to South America, with our first stop of Chile. I must say I love going to Chile. There are several reasons. First Chile is a lovely country. Although long and narrow, with both coastal mountains on one side and the Andes forming the border with Argentina, the long lovely coastline is amazing. The first time we came to Chile we spent several days in Santiago then cruised south along the coast stopping at several ports along the way. Journeying through the Straits of Megellan and the north to Argentina and Uruguay. We loved it. 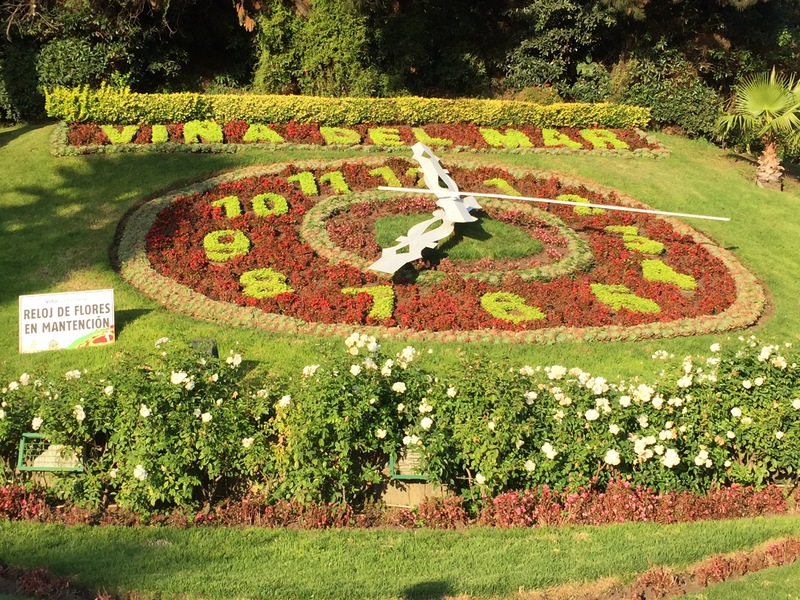 This time when we came, we traveled directly from the airport to the lovely resort city of Vina Del Mar, staying in The Enjoy hotel that connects to the original Casino. Walking around has be a delight. Soon we will travel to our cruise ship and sail north to Arica, Chile, and on to Peru, Ecuador, Panama, the Canal, and Columbia. I cannot wait for these new experiences. Second reason why I love Chile: although it is a 9.5 hour flight from Atlanta, we only change two time zones from our home. So NO jet lag. I love that. I admit that I do hate being on an airplane for that long. But for this trip we end in Miami, so a much shorter flight home. The final and best reason for me, my best Chilean buddy. It is really wonderful to travel a country with a friend who is a native. First having friends to experience the adventure makes it more enjoyable. Then there are no issues with translating. She makes wonderful food selections. We want to eat foods we do not find at home and eat traditional South American fare. We are off on another adventure.